PerfectDreadlocks is the place to come if you want learn everything and anything about dreadlocks. Growing Dreadlocks can be an incredibly rewarding experience or pure frustration. I’ll tell you about several ways to make dreadlocks and give you some solid info about dread locks products and tools that will make your dreads journey easier. Here at PerfectDreadlocks we want to give you the best dreadlocks information available. We are always looking for helpful tips and tricks for maintaining healthier dreads. Dreadlocks are much more than just a hairstyle. They are a way of life. 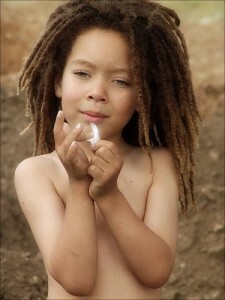 Dreads are different for everyone. They can be spiritual and religious, they can be a statement, and they can be fashionable and fun. Dreads are what you want them to be and never let anyone tell you that you can’t have them for this reason or that reason. Are you ready for dreadlocks? 5 things to think about before you make the decision. Find out if the lifestyle and the maintenance required for dreadlocks is right for you. Dreadlocks take time. They are not an instant hairstyle. The only way to instant dreads is temporary dreadlocks. Your Job. Does your job allow them? If you don’t check first you could end up losing your job or putting a lot of time into making your dreads and have to take them out. Know your hair texture. This is important for choosing the right method to make your dreads. Proper dreadlocks maintenance. VERY IMPORTANT! The key to great dreads is knowing how to take care of them. Check out our dreadlocks frequently asked questions to learn more about how your hair type affects your dreads and find the best method for your hair type. Dreadlocks are dirty. Only if you don’t wash them. BIG MISTAKE! Clean hair dreads faster than dirty hair. People who care about having healthy dreadlocks wash them at least twice a week. You can’t wash dreadlocks. False. You can wash any kind of hair and dreads are no exception. If someone tells you this, assume they have no idea what they are talking about. Not washing and combing your hair is the best way to make dreads. This is how animals and people who don’t know what they are doing make dreads. Only black people can have dreads. Completely false, anyone can have can have them. You have to shave your head to get rid of dreadlocks. Not True! Check the FAQ for information about removing dreadlocks. Yes, the easiest way to remove dreadlocks is to cut them at the roots and start growing your hair again. But not everyone wants to start from scratch. Luckily for those of us who want to try dreads for while without the commitment of cutting our hair, or for those of us that are forced to remove our dreadlocks due to circumstances outside of our control, there are now ways to keep some, if not all of your hair when you remove them. There are kits and products for removing dreadlocks on the market. The method of how you make your dreadlocks can determine whether or not you can remove them so check out the Different Methods You Can Use to Start dreads in our Methods section.